The first twenty four years of my life were spent in Haiti. In 2000, I came to the United States with my parents and siblings. Together, we bought a house in 2004, maintained it and we began a new life. I was fortunate to meet Father John Morin, OMI, who was the Associate Pastor of Saint Angela’s in Mattapan, MA. I learned many things about pastoral care and I was very impressed by the way Father Morin completely gave himself to the Haitian community as a resource in the United States. Through my association with him, I learned about other Oblates in the United States. I earned several degrees in Engineering from the University of Massachusetts at Lowell. During those years, I worked in a variety of fields. I also spent some time serving a diverse group of communities in the Archdiocese of Boston, including a weekly prison ministry. As a Novice, I hope to discover my true self and to take the opportunity of this year to discern my Oblate vocation while living in the international novitiate community in Godfrey. I also hope that when I complete my formation, I will know myself better in order to be able to serve the Oblate community in its various ministries. Bachelor of Arts Special Degree in International Relations, University of Colombo, Sri Lanka. I was brought up as a Catholic. However, my mother’s extended family included Buddhists and my father’s side were nominal Catholics. As time passed, with the conversion of my mother to Catholic Faith and with the support of my Godparents, I was able to experience profound faith in God. I am the youngest in my family. I have one elder brother. My Parents worked in the hospital for their livelihood. 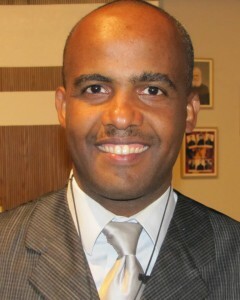 Since my childhood, I went to St. Anthony’s Roman Catholic church-Weliweriya which was close to my house. My experiences in my Parish helped me to live happily and to trust the compassionate love and mercy of Jesus Christ. The priest and sisters at this special place gave me the courage to seek the religious life and priesthood. The seed of my vocation began when I became an altar server in my parish. My priest inspired me to embark on Religious Life and he sent me to St. Aloysius’ Minor Seminary, Borella to sit for the entrance examination and the interview. Although, I got selected, I chose not to enter that Diocesan Seminary. One year later, I came to know about the Oblate Congregation through “Bakthi Prabodhanaya”. It had testimonies of the Oblate Missionaries and their services. I read those testimonies and I was convinced of their Missionary zeal. I wrote a letter to the Vocation Director and he came to visit my home. 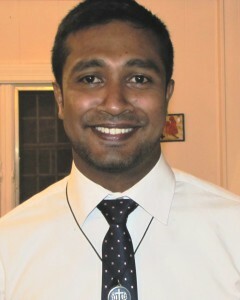 I entered the Oblate Juniorate at Nugegoda in 2005, when I was 15 years old. When I joined the OMI Juniorate there I was formed and developed in my Christian faith, attitudes, Knowledge and skills in order to serve the poor. After completing the Government Certificate Examination of Advanced Level in 2009, I was selected to attend the University of Colombo to read for the Bachelor of Arts special degree in International Relations. When I was at University, I had another great opportunity to serve the Catholic students in their Spiritual needs, as President of the Catholic Students’ Movement. It was a blessed time with much fun as well. At the same time, other options began to disturb my mind and heart such as White-collar jobs, Scholarships for higher studies, family problems and relationships. During this moment of crisis, I was helped by my spiritual director. I believe God is a father to me who leads me step by step to take my Vocational discernment. Finally, I gave Him “YES”, not knowing where it would lead me, but always trusting that he would guide me. So, after completing my Graduate Studies, I did my Pre-Novitiate program under the guidance of Fr.Emmanuel Fernando OMI assisted by Fr.Shivantha Wass OMI at Rajabima Oblate Center, in Anuradhapura. They nurtured within me the values and virtues needed for my religious life. They gave me opportunities to experience the beauty of the Oblate community life, Oblate charism and the Pastoral activities at the Center and in the local parishes. Now my Novitiate life has begun in the United States, I hope to experience the God’s love more and more and to become an Oblate to those who don’t know Jesus yet and to serve in the difficult Oblate Missions. I was born and raised in Adelaide, Australia; growing up with my brother and my parents in the multicultural suburbs of the city. I was baptised in the Oblate parish of St David’s and attended mass there with my family for most of my life, except for special occasions when my family would celebrate Italian mass at a neighbouring parish. The Oblate priests were fundamental in my Faith Formation and introduction into Youth Ministry. Through church and school I became involved with many different social justice initiatives around the school and the wider local community. Much of my teenage years and young adult life revolved around youth groups, volunteering and travelling overseas to work in different kinds of missions. After graduating from high school, I was accepted at the University of Adelaide Law School and completed a 5-year Bachelor degree in Law & International Studies. At the same time, I worked as a youth ministry coordinator for the Archdiocese of Adelaide, promoting and supporting youth ministry initiatives across 28 high schools, 88 parishes and 20+ local community organisations. In 2012, I applied to work for the United Nations as the last part of his Law degree. I was accepted to work as a Protection Officer for UNHCR in Pretoria, South Africa. I worked there for 6 months, working one-on-one with refugees in desperate situations across the Southern African region. The opportunity to work in that field was life-changing and I also enjoyed the possibilities to see much of the beautiful African continent. 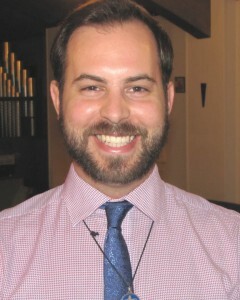 I continued to work for the Archdiocese in Youth Ministry up until 2015. As a part of my role, I was lucky enough to travel to Rio de Janeiro for the 2013 World Youth Day. This experience was also life-changing as it was here that the first thought of a vocation to the religious life started. I felt like I truly came face to face with God in Brazil and that God was asking me to accept the challenge of a missionary religious life. 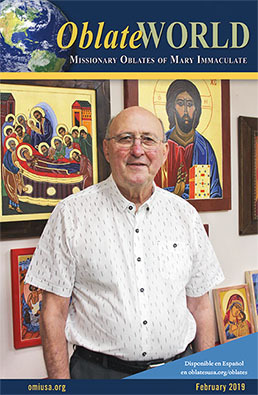 I started discernment with the Oblates of Mary Immaculate by receiving Spiritual Direction from my local priest, visiting the seminary in Melbourne and even had the opportunity to work in the Oblate mission in Beijing, China for a month. 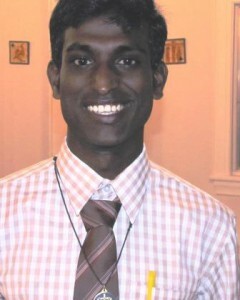 I entered pre-novitiate on 14th February 2015 in Melbourne. 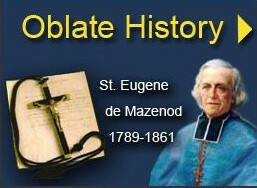 During pre-novitiate I lived in the Oblate community at Mazenod College, one of the all-boys schools the Oblates run in Australia. I spent my days working with students with learning disabilities, running school retreats, organising youth groups, and serving the homeless in the city. I also undertook some preliminary philosophy and theology courses at the Catholic Theological College. 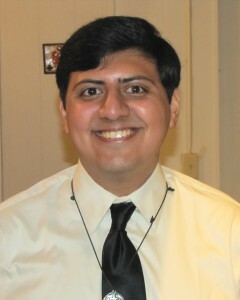 After 6 months in pre-novitiate, I was extremely excited to hear that I would attend the novitiate in Godfrey, USA. I am the only Australian novice and so was elated to know that I would have fellow Oblate Brothers to live with for this very special year. I am from a traditional and pious Catholic family. My father and my mother have a small business in our village. I am the first son in my family. I have one younger brother and one younger sister. The seed of my vocation was planted by my parents as they raised me in the Christian faith. My grandfather watered the seed of vocation also by taking me to church daily. I have done most of my studies in Christian institutes. Many priests/brothers and sisters were the inspiration for me to pursue a religious vocation. They guided me spiritually and I was with them in prayer and at Mass along with my companions in the boarding school. While I was in higher studies an OMI came to our school for a vocation talk. I also witnessed the OMI’s in my parish and felt called to the Oblate congregation. I also like their charism and their work for the people and the salvation of the souls. I have been in Oblate formation for five years. I joined the Oblates in 2010. I was in the Oblate Juniorate for one year where I learned English. I was also taught introduction to the Bible, prayers and Oblate traditions. Then I completed my bachelor degree in Philosophy from Indira Gandhi National Open University. I also acquired a diploma in Philosophy in 2014 at De Mazenod Institute of Philosophy. Oblate formation in India. Though we are Christians, we adapted some religious elements from Hinduism into Christianity. In 2014 and 2015, as a Regent, I did my service at St. Eugene English Medium School in Tallapudi, Andhra, India where I learned another new culture and language (Telgu). During my regency, my Oblate supervisors showed me the Oblate way of life and values. They strengthened me spiritually through prayers, masses and spiritual direction. At the school, I taught English (9-11 years old). I also worked and learned a simple way of life and many things from the Oblate community. These five years of formation helped me to have a good relationship with Jesus Christ and his love for me on the cross. During my formation, I have developed my Marian devotion which continues to help me to stand firm in my vocational choice in my life. 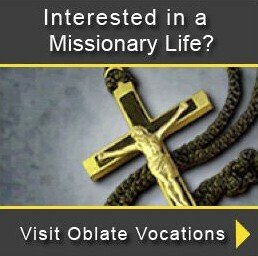 As an Oblate novice, I hope to discern my Oblate vocation. I am the oldest of three children. I was born to Victor and Leticia Montez in 1993. My brother and sister followed in 1996 and 1998, respectively. We were raised in Kingsville, Texas at the foot of the King Ranch in a culture rich with Hispanic, Texan and American traditions. My home parish, St. Martin de Tours, used to be staffed by the Oblates of Mary Immaculate and was integral to my formation as a young Catholic and my first introduction to Oblate ministry. My vocation story has no clear beginning of when I first heard the call to religious life because my call has been a gradual move towards God. I have known Oblates since I was born because my father’s uncle, Manuel “Meme” Villarreal, is an Oblate and the Oblates at St. Martin’s. My discernment began in college. I went to the University of Texas at Austin to study biochemistry with dreams of entering medical school. Throughout my first year I couldn’t help but feel that something was off and I felt like I didn’t belong there; I had friends and did decently in the coursework but it was something deeper. In my second year, I thought perhaps what I wanted and what God wanted weren’t exactly lining up. I went through a lot, academically, trying to get to where I was so the possibility of a fight between my will and God’s Will scared me. While praying about what it was that God wanted me to do, a very clear idea came to me: religious life. It then became obvious that God placed wonderful Oblates in my life to show me their charism in action; caring for the poor and abandoned. At the thought of becoming an Oblate, I felt a quiet peace. I went for a “Come-and-See Weekend,” at the Pre-Novitiate in Buffalo, New York and felt right at home. I decided to leave my degree unfinished, put my life into God’s hands and have never been the same since. The past two years were spent in Buffalo in the pre-novitiate program of the United States Province. There I studied philosophy at D’Youville College. Philosophical studies were only a part of my formation in Buffalo. Bishop Fallon Residence, our house of formation, is housed in the rectory of Holy Angels Church on Buffalo’s West Side. There I lived in community with a variety of people, including fellow pre-novices and the Oblate staff of three linked parishes in the area. We also spent time with our pre-novitiate director on a weekly basis to study topics important to religious life like the evangelical counsels and the Oblate Constitution and Rules. This year, as a novice, I want to grow in my friendship with Christ so I might have the ability to give Christ’s friendship to others. God willing, our vows are an oblation or a complete, total self-sacrifice of all that we are. It is imperative that my offering to the marginalized people of God is a relationship with Him. In a sense, I hope this novitiate year will shape the rest of my future. Place of Birth: Bandarawela, Sri Lanka. I was born in my mother’s home town, Bandarawela where our O.M.I. Novitiate is situated. However, I was raised in Buttala, a city located in the southern part of the Uva Province and I received all my sacraments in the parish church of Jesus Christ, The Liberator. I grew up there with my parents and grandmother. I have a younger sister. My father is a farmer and my mother is a housewife. My father is a Catholic whereas my mother is a Buddhist. In my village 99.9% of the people are Buddhist. I, therefore grew up among many Buddhists; I am quite familiar with Buddhism and other religious practices My Grandmother provided me a fine Christian witness and helped to form me as a good Catholic. Even though my mother is a Buddhist she always encouraged me to grow in my faith. I studied in Mo/Waguruwela Maha Vidyalaya, a school in my village, till 10th grade and thereafter joined the Oblate Juniorate in Kohuwala near, Colombo. At the Juniorate, I completed my Ordinary Level and Advanced Level Examinations from 2011 – 2014. In 2012, I completed my National Seminary Entrance Examination. Since I was a kid it has been my desire to be a priest. To whoever questioned me about my future, my answer was the same, “I want to be a priest”. Nevertheless, I did not have a clear concept about priesthood neither did I know why I wanted to be a Priest. 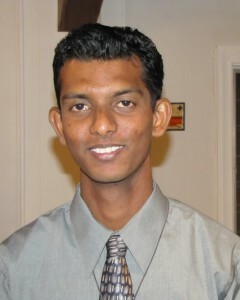 On January 10th, 2010, I finally joined the St.Joseph’s Oblate Juniorate in Kohuwala. I joined the Oblate Pre-novitiate on 2nd February 2015. There I met Oblates from some other countries; those 5 months helped me to discern that I wanted to go to novitiate. By God’s grace, I am now at Oblate Novitiate in Godfrey, Illinois. Throughout this Novitiate year I want to strengthen my friendship with Jesus and to embrace the charism of my congregation.